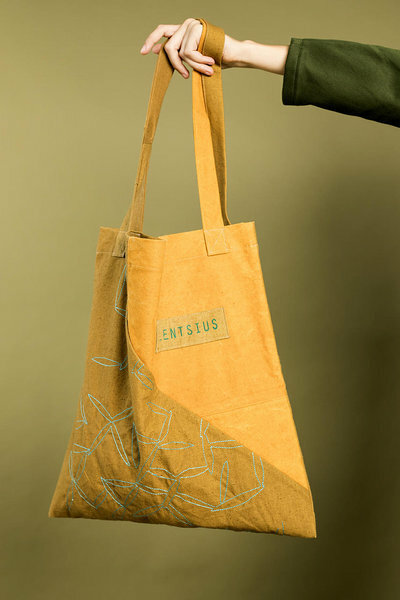 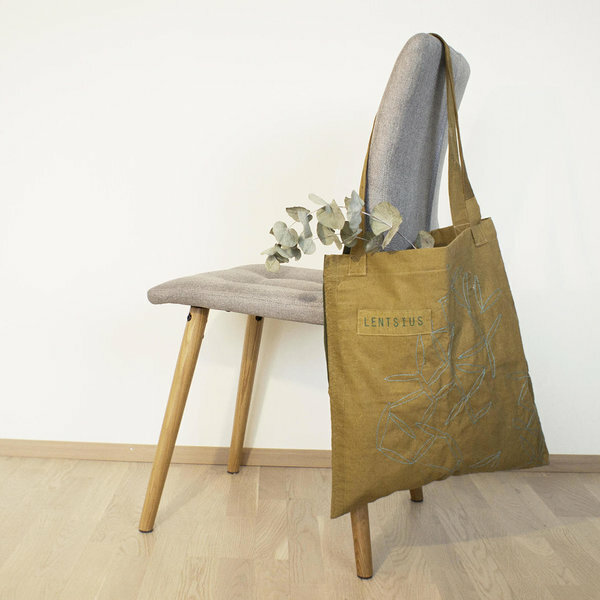 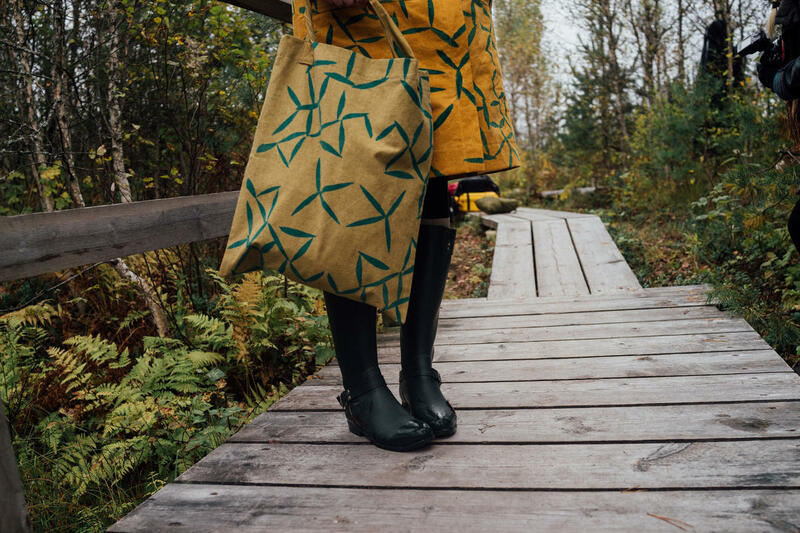 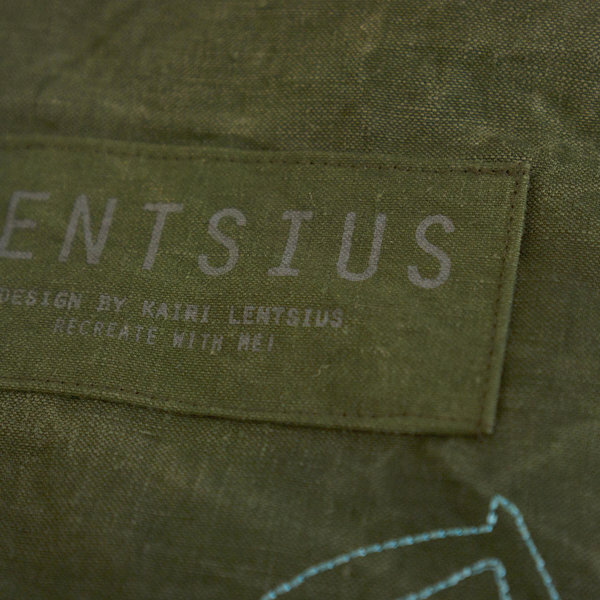 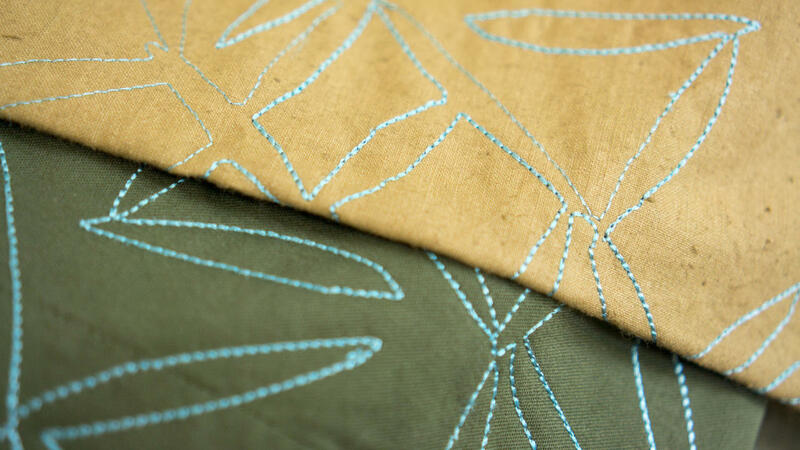 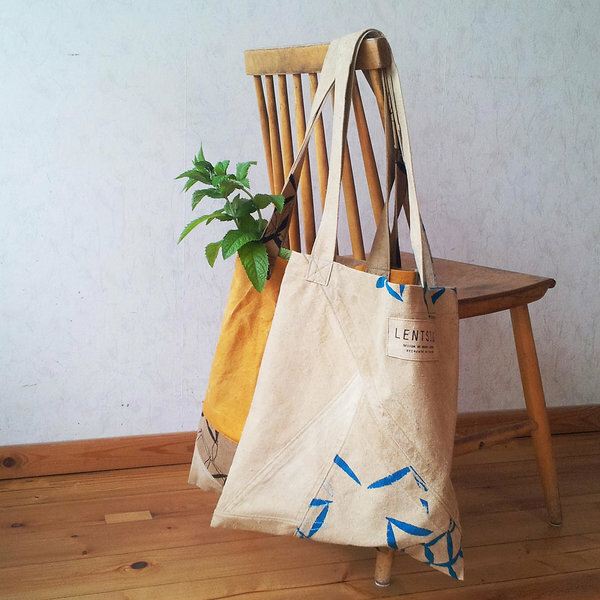 TELK bags are a part of the sustainable coat project which began already in 2013. 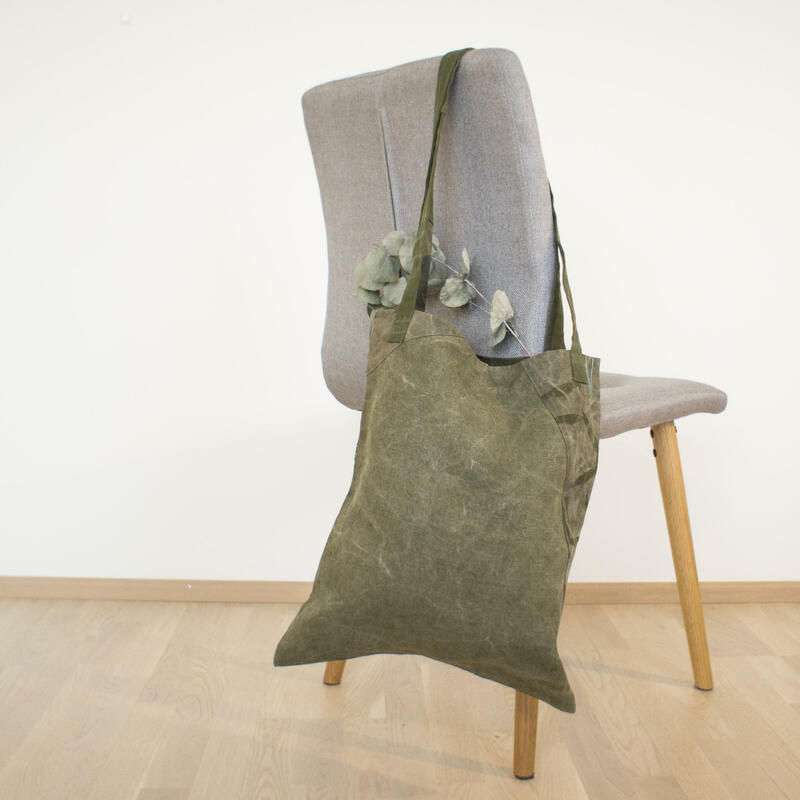 TELK bags are made of discarded military tents and every item is unique. 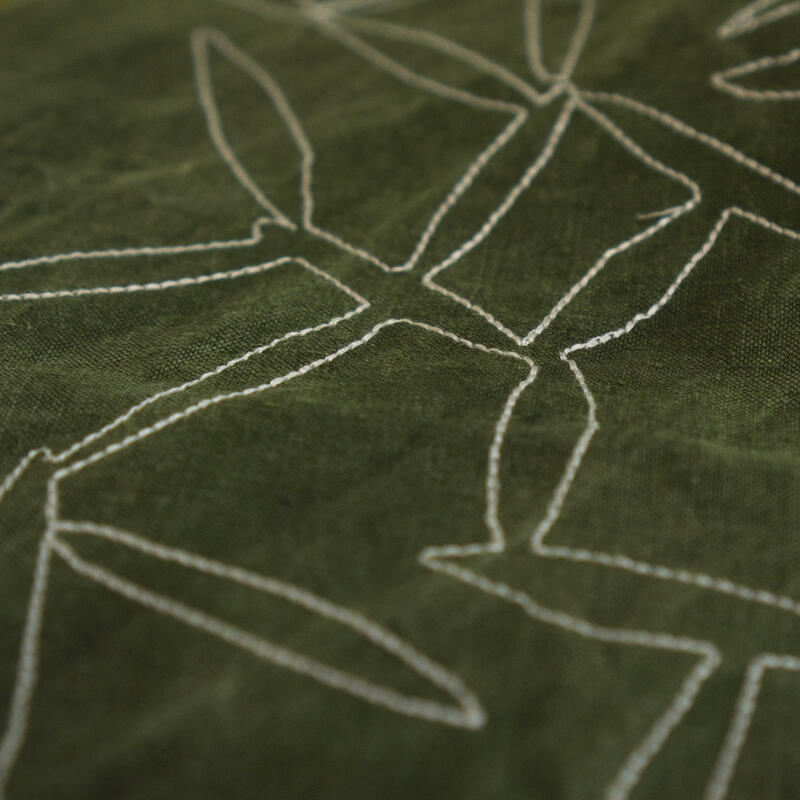 It's characteristic for the material to have signs of wind, rain, snow and sun created patterns which have been combined with machine embroidery and/or silk screen printing. 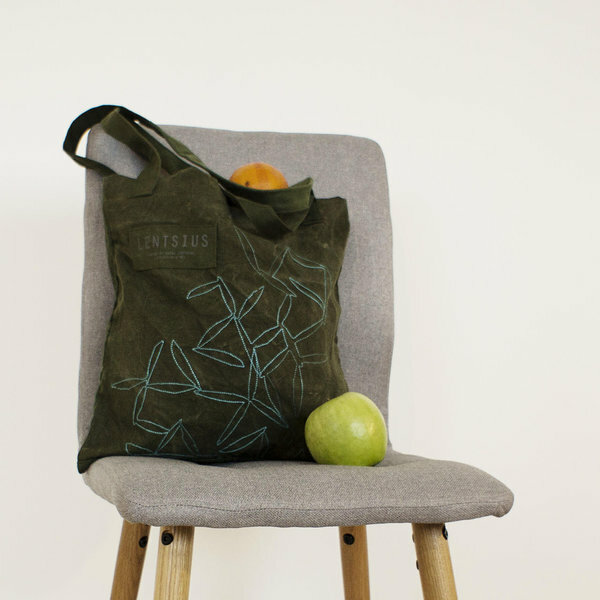 TELK bags are perfect for grocery shopping or as a everyday helper to carry around the things needed.